This is a blog with things that I want to share. It can be anything – there is no rhyme nor reason as to what might pique my interest. All original content is © Kris Coppieters, unless explicitly marked otherwise. 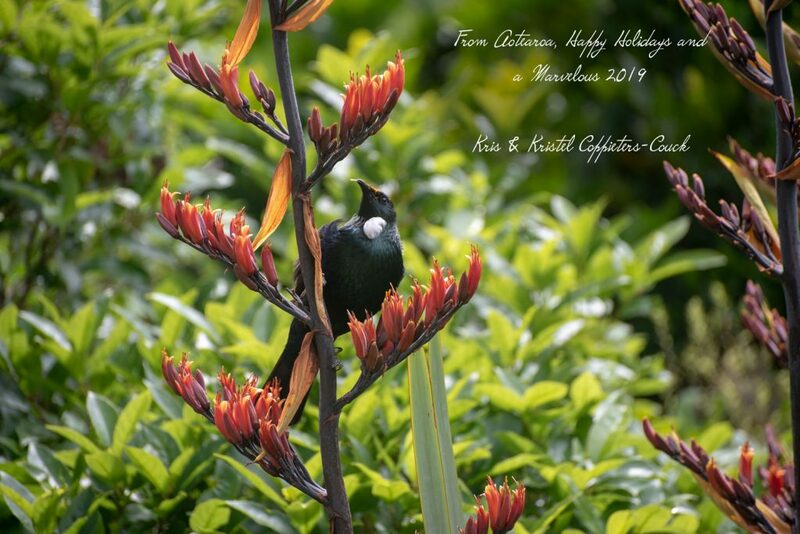 Posted on December 18, 2018 December 18, 2018 Leave a comment on Happy Holidays! I recently updated my Mac to macOS Mojave (10.14.1). I was upgrading my MacPorts stuff, and found that wxMaxima was behaving weirdly – some smallish rectangular scroll frame is overlapping the main window and wxMaxima does not work right. The display looks garbled and corrupted. 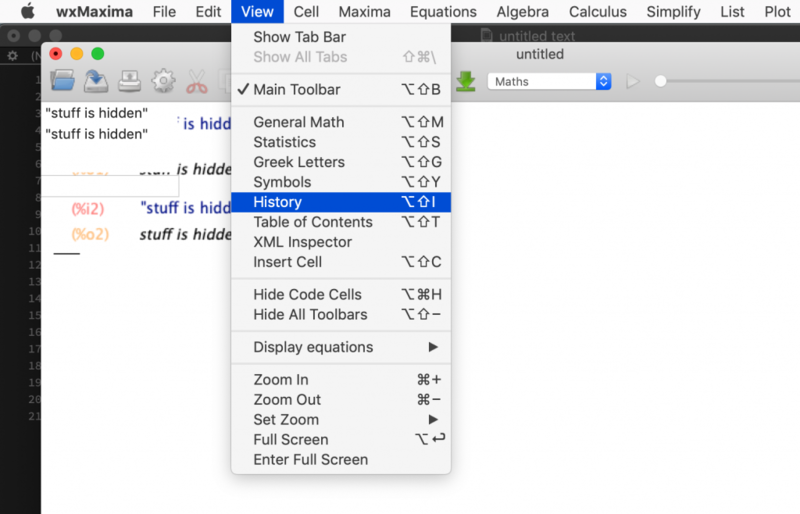 I found a way to make it behave better: show, then hide the History (menu item View – History). The scrolly thing seems to be a garbled history frame, and show/hiding cleans it up. If your developer team is (or will be) building CEP panels for Adobe Creative Cloud, consider hiring me to teach a hands-on training course and help them hit the ground running. The up-ramp to efficient CEP panel development is steep, and I can help you reduce the unproductive ‘getting started’ time. I’ve been diligently building a ‘starter’ project for people wanting to dive into CEP-based extensions for Adobe Creative Cloud apps. There’s still a long way to go, but the project has reached a stage where it is ripe enough for public consumption. Absolutely minimal ‘side’ requirements: a Mac or Windows, Adobe Creative Cloud, a text editor and a Chrome-engine-based browser for debugging. That’s all you need. Go have a look, and if you like the idea, ‘star’ the project on GitHub. Currently, I am working on the ‘how to debug’ cookbooks. Especially debugging the embedded ExtendScript code inside the CEP panel can prove challenging. I wrote a guest article on the Adobe.io blog. If the information presented there proves useful, please give the article a few ‘hand-claps’ by clicking the ‘hand-clap’ icon at the end of the article. This helps raise the article’s profile! See screenshot below. That should help. I use Xcode only every so often, and when I do, things have moved on, and I always feel like a stranger in a strange land. I think Apple is rearranging the furniture (i.e. changing the UI) just for the heck of it. 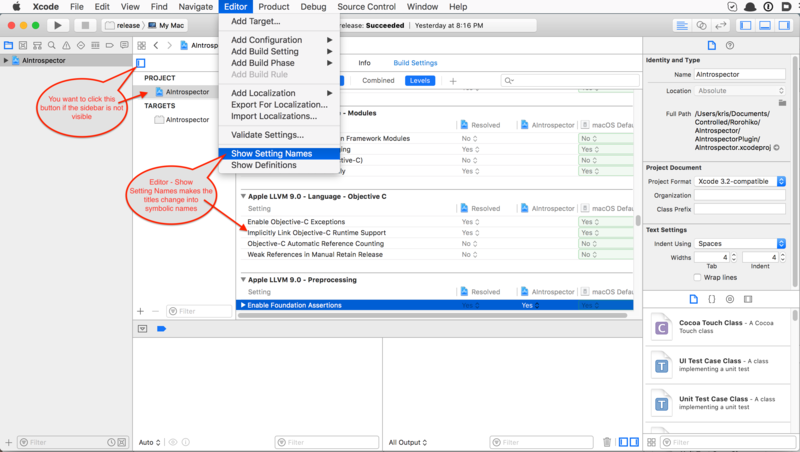 So, I was in for another spate of Xcode, and for the life of me, I could not figure out how to show build setting names instead of setting titles. The Build Setting Titles are the readable version (e.g. ‘Enable Objective-C Exceptions’), and the Build Setting Names are the uppercase things (e.g. CLANG_ENABLE_OBJ_ARC). In the past I used to be able to double-click any one of those titles or names and it would flip between the two states. That does not work any more. Probably that worked too well, and developers were way too efficient. Later, I think I vaguely remember there was a some clickable control somewhere you could click. If it was ever there, it’s gone now. For Xcode 9 it took me quite a bit of effort to find where it is now. 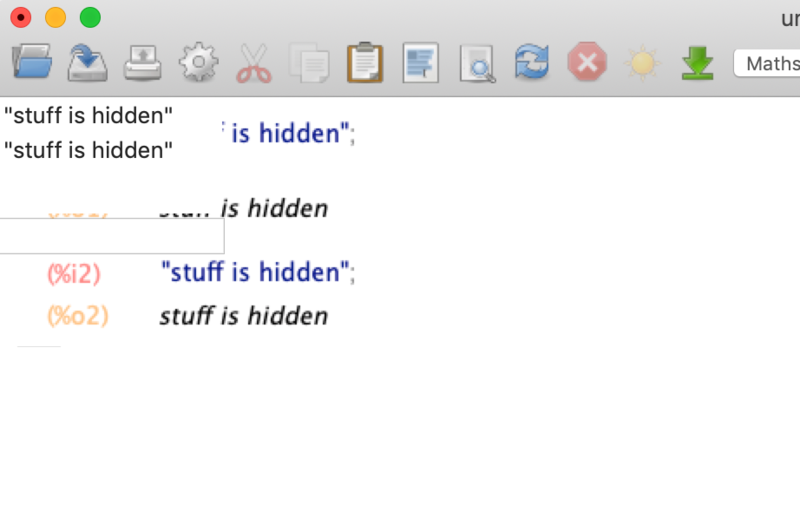 It’s under the ‘Editor’ menu – ‘Show Setting Names’ or ‘Show Setting Titles’. Also, there is a new Project/Targets sidebar that I don’t remember seeing in previous Xcode versions. That sidebar is important. And probably because it is important, it is well hidden and not easy to find. Below a screenshot that shows where those darn things are in Xcode 9. Hope this saves someone else some frustration. If all you want to get is an easy-to-use GetURL function for InDesign ExtendScript, I now have a simple installer to install ExtendExtendScript with the GetURL plug-in. Important: no warranties, neither expressed nor implied: use at your own risk. If you’re not interested in how ExtendExtendScript works and all you want to do is access some URL from ExtendScript, this installer is for you. The ExtendExtendScript extension is invisible. All it does is augment the InDesign ExtendScript environment with some new functions you can call. It only works from a persistent ExtendScript engine; don’t run it from the ‘main’ engine, which is not persistent. This installer came about because I had built a more or less ‘standardized’ installer for installing the more recent software I wrote for Rorohiko. This installer does not rely on the ExManCmd command line tool, so it should be more robust. ExManCmd fails way too often, so I avoided using it. And because I had the installer available anyway, I decided to roll off a copy just for ExtendExtendScript. Hope it proves useful! Around New Year, I was at the Whare Flat folk festival in Dunedin; my second time around. I attended a few workshops: Bluegrass Jam, Old-time Music Jam, and one about slide guitar. Tony Burt let me use his own personal resonator guitar, and I had great fun. So, I’ve ordered Yet Another Guitar – a Gretsch G9210 Boxcar Square Neck Resonator. I wish I could afford a real Dobro, but as I am just getting my feet wet, the Gretsch will most certainly do. I did not know, but it turns out there are multiple types of slide guitar: some are played like regular guitars, some are played while they lie on the lap. The ‘regular’ ones have a round neck, and the strings are not too high above the frets, so you can either fret them normally with your fingers, or use a slide or bottleneck around your finger to play them. The ‘square neck’ ones are the ones you hold flat on your lap. There the strings are much higher above the frets: the frets only serve as an indication of where the tone lies, and you use a steel slider to change the tone. These guitars are often tuned in all kinds of tunings; when I played Tony’s guitar, it was tuned G D B G D B.
I love the totally different sound coming from these guitars. Hope I manage to learn to play it properly. I finally bit the bullet, and decided to get off Facebook. I weighed up the pros and cons, and in the end, the cons weighed heavier. Despite being about ‘getting people together’, I think that in the end, Facebook is more about splitting people apart than about getting people together. I’ve seen former friends become really angry at one another and never talk to each other again because Facebook is fanning the flames of discord. I cannot help but think of ‘Radio Mille Collines’. Staying in touch with family and friends and things like community groups on Facebook serve a purpose, but that’s not enough to turn a blind eye to the harmful side of Facebook. So, instead of Facebook, I’ll be here, on this blog! If you’re so inclined, you can send me a friend request – by default, no personal pictures are shown, but friends and family can see personal pictures too. However, I want to share you the story why I have a beard. When I started to develop my first wispy hairs on my chin, I decided that I was never going to shave. Assuming a man needs 5 minutes each day to shave, and assuming I was going to live to 72, I was going to save (72 – 17) * 365.25 * 5 = 100443.75 minutes = 70 days of my life. So, come back occasionally. My blog will mostly be terribly boring, but there might be some interesting nuggets here and there. Final word: I would like to ask everyone who read this far to try and avoid using the word ‘they’, or at least, be aware of it when you’re using it. You’ll notice lately there is a steep incline in its usage: ‘They do this’, ‘They all believe that’,… and invariably it’s an indication of stereotyping. If you hear yourself say ‘They’… stop and think! Try to put some names to the ‘they’. If you cannot put forward any people’s names, but instead your mind’s eye comes up with a faceless stereotype image of ‘a person’, question yourself.